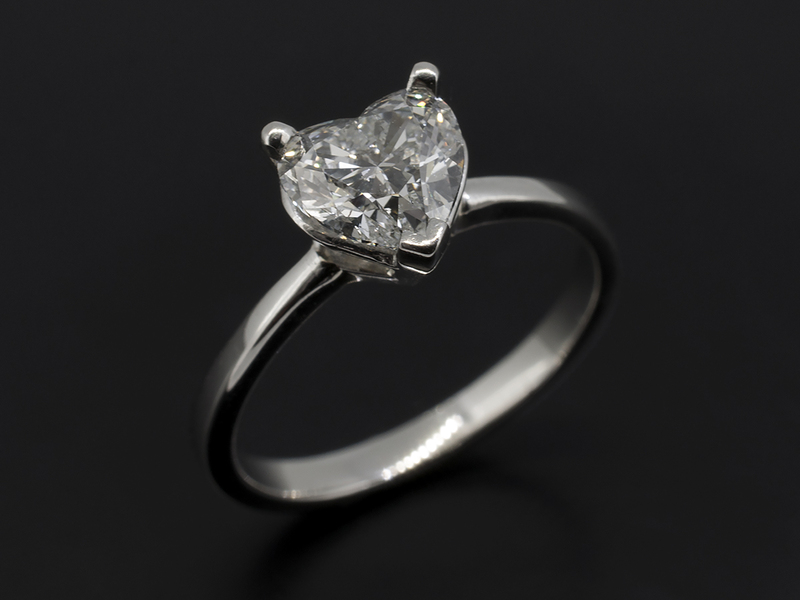 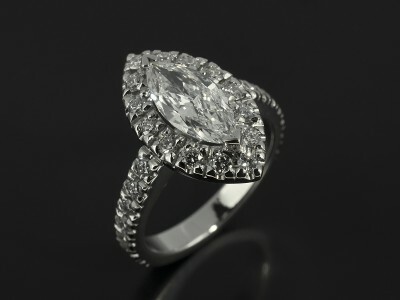 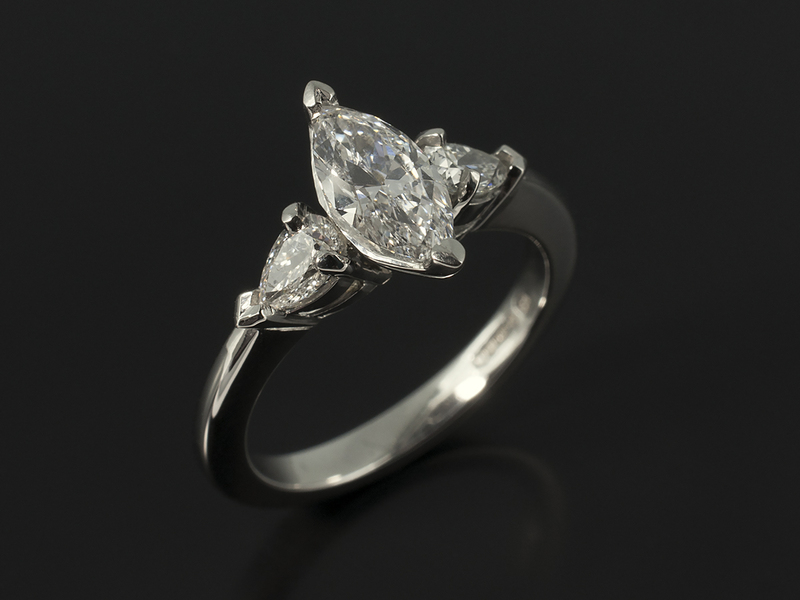 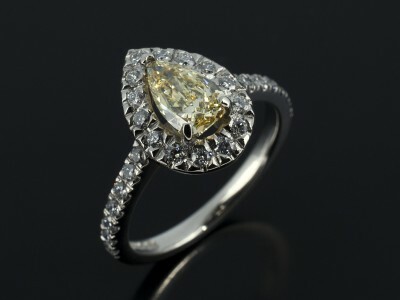 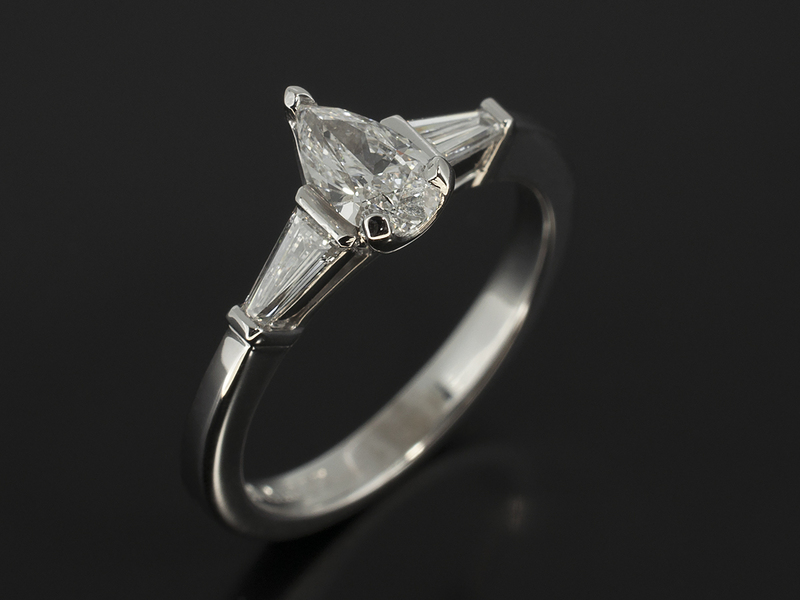 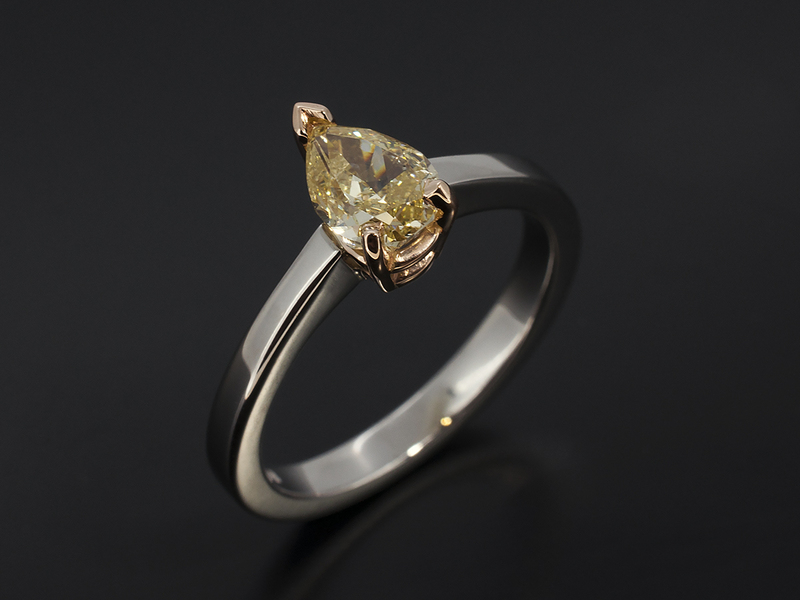 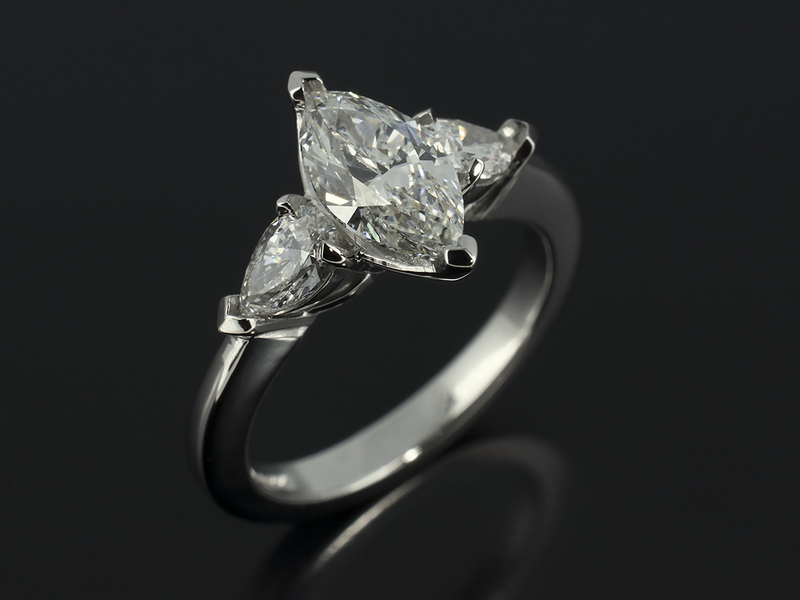 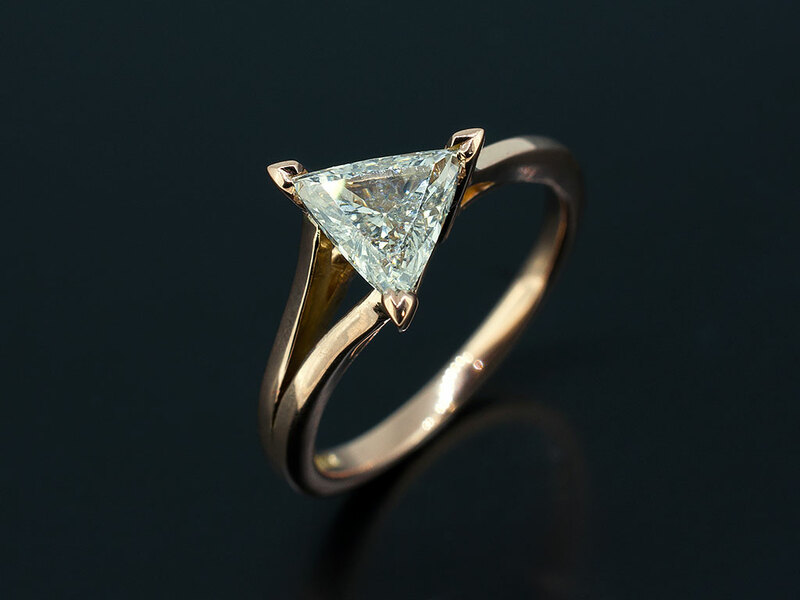 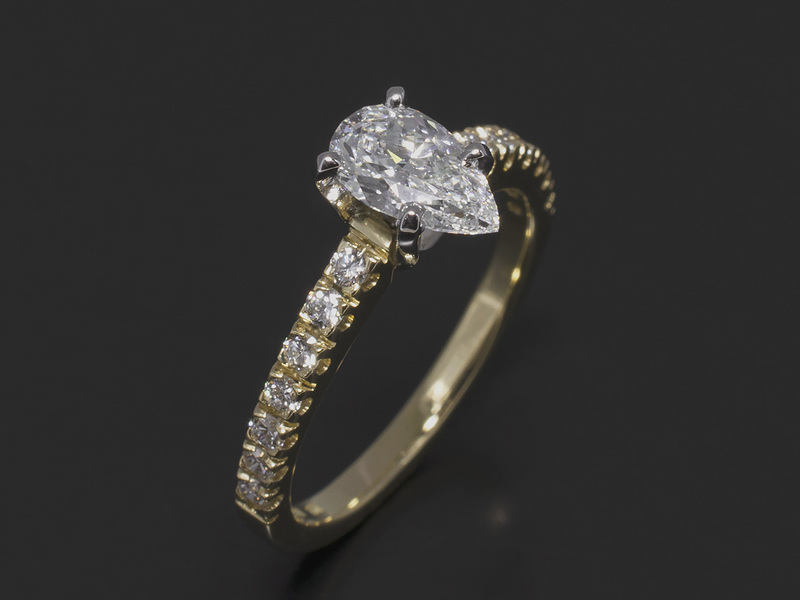 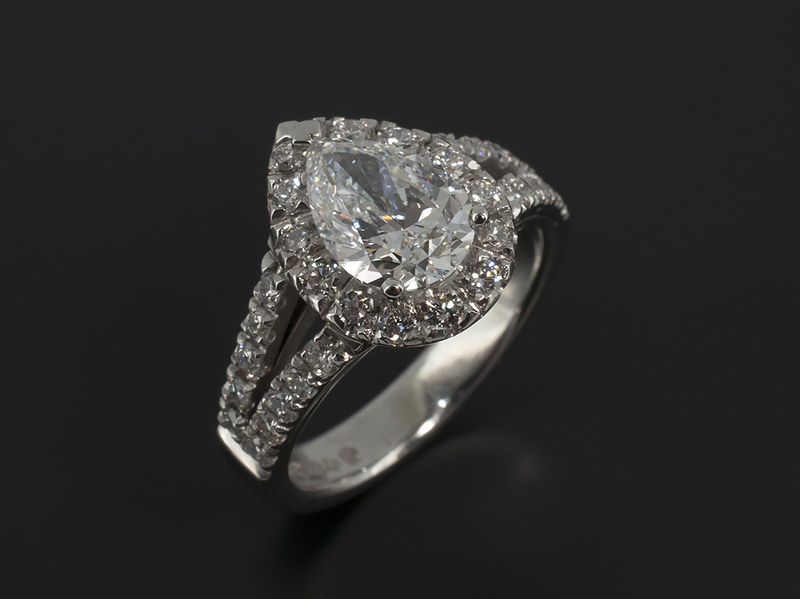 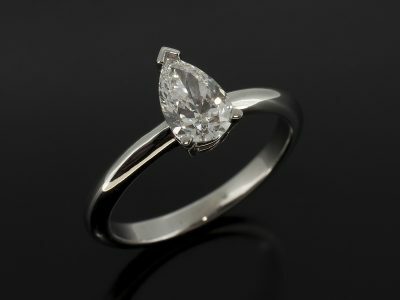 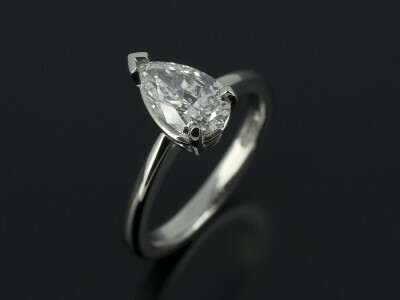 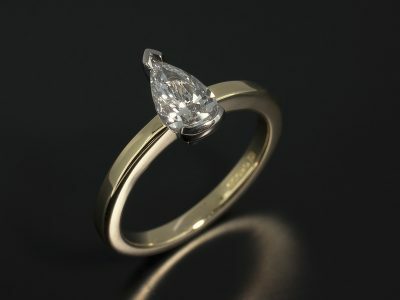 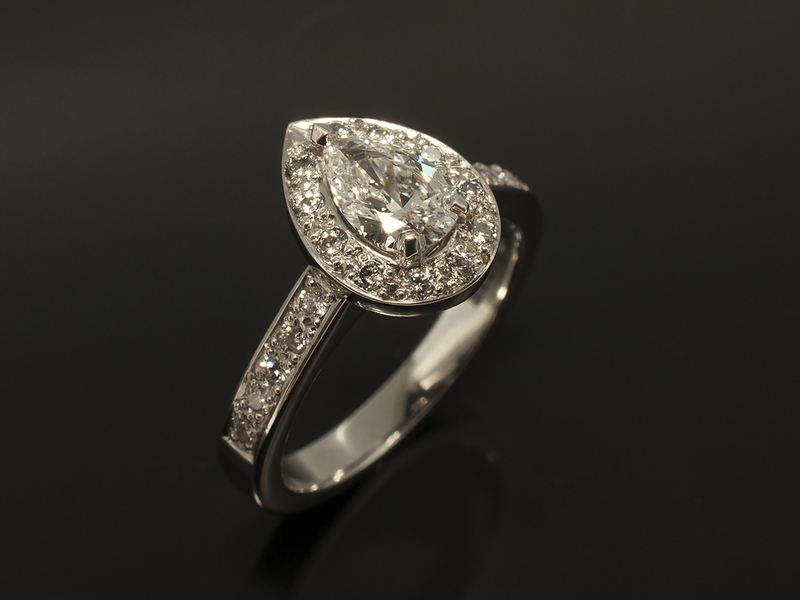 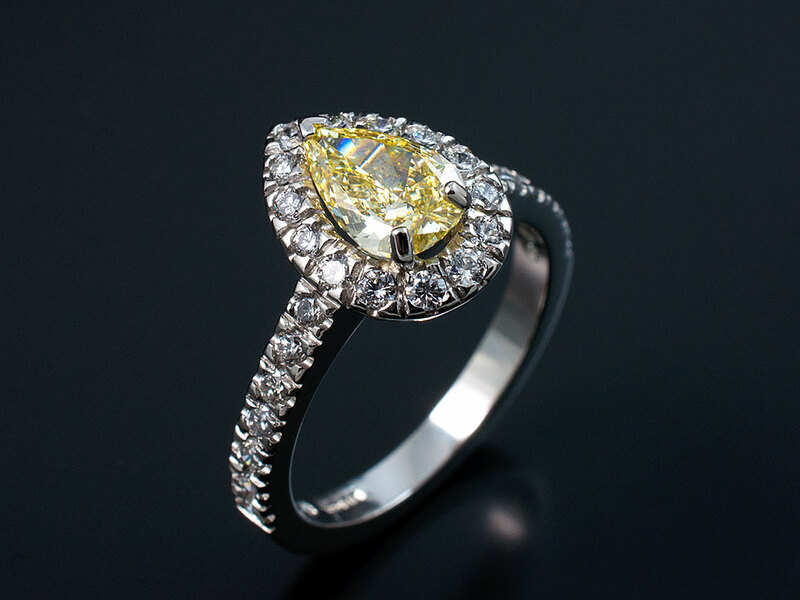 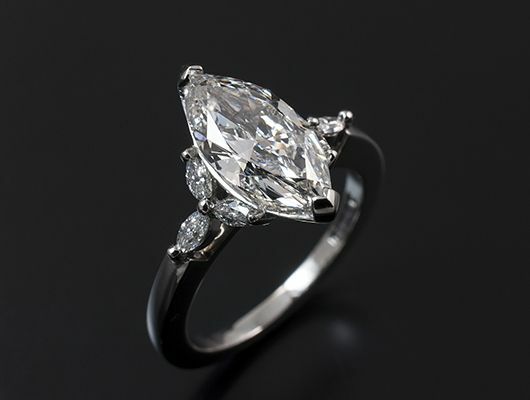 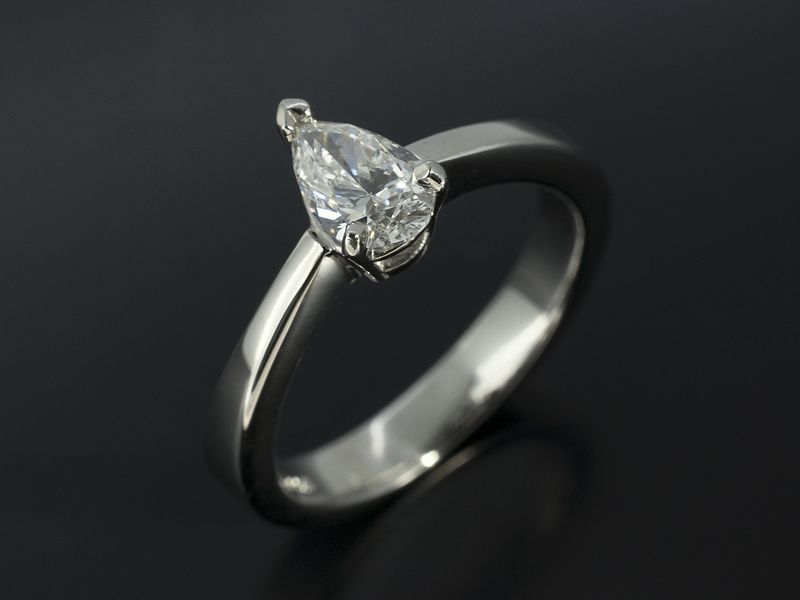 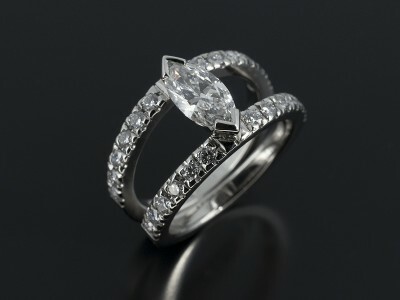 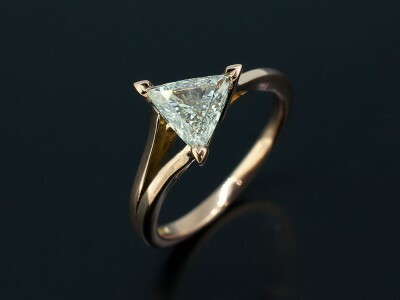 Pear, Marquise and Heart shaped diamonds are cut with the same facet structure as Round Brilliant diamonds. Therefore, they are very lively and bright stones. 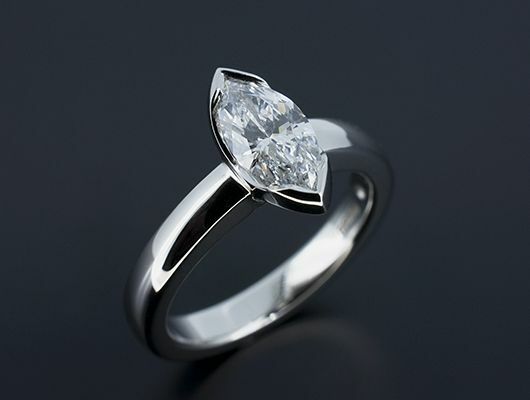 In addition, due to their shape they tend to suit someone who has longer fingers or wishes to have an elongated look to their engagement ring design. 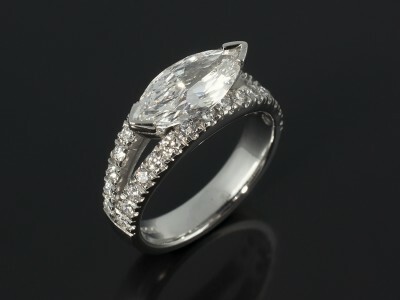 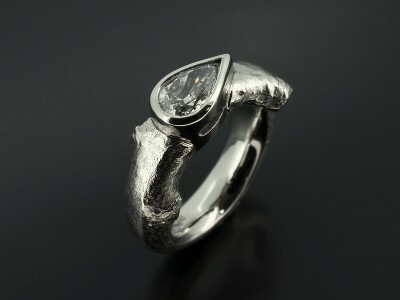 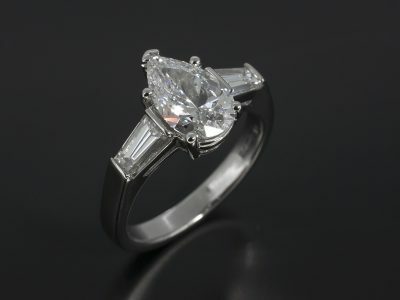 They also are cut with more diamond material left on the upper surface of the stone. 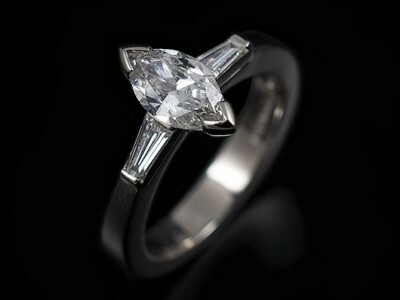 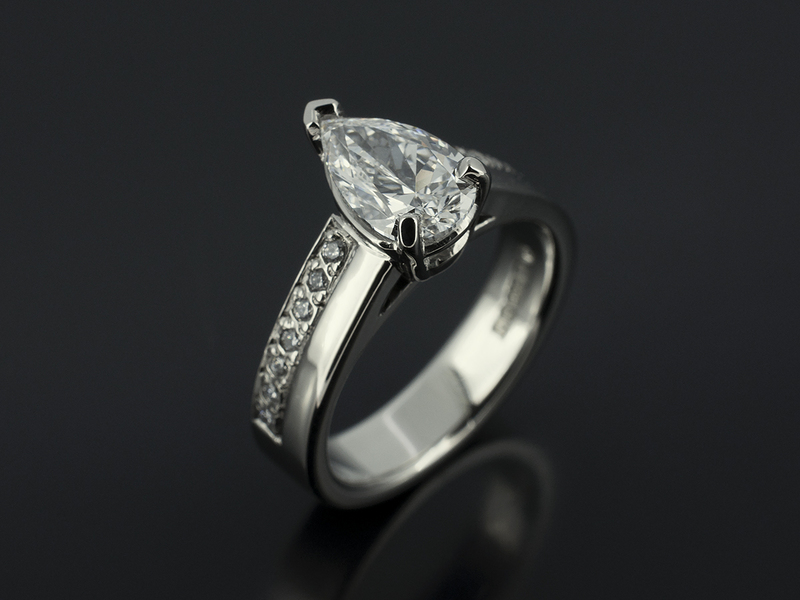 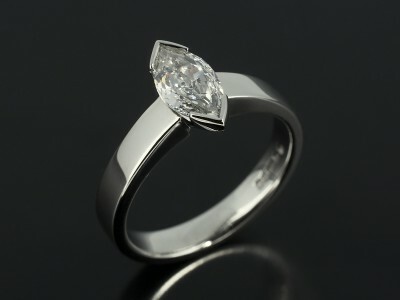 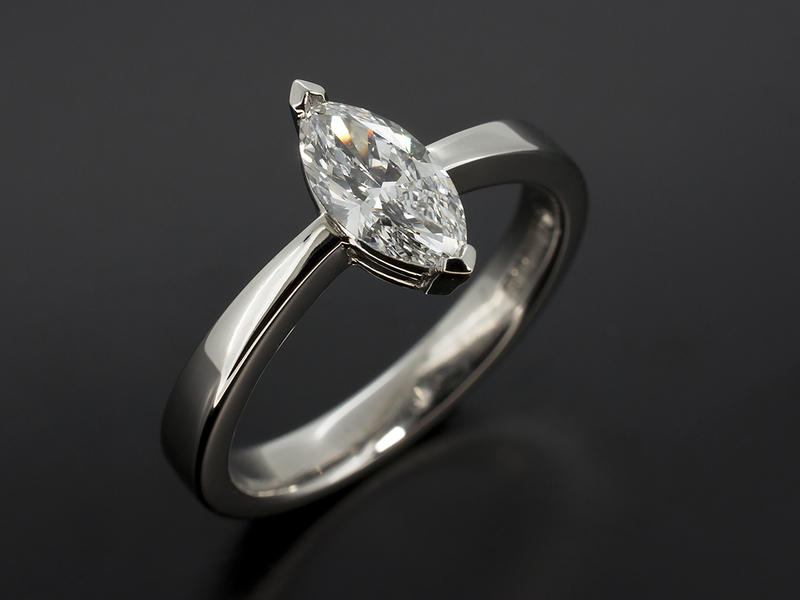 This makes they look much bigger than say a round brilliant cut of a similar carat weight. 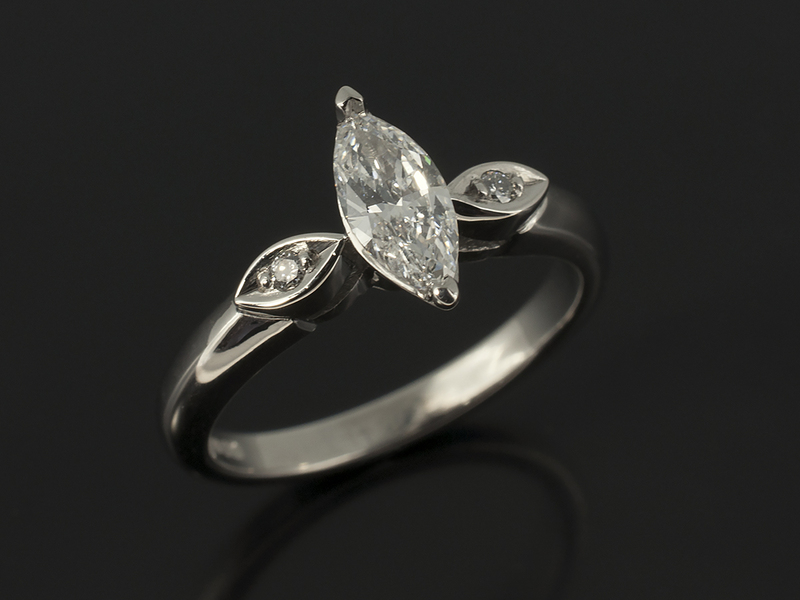 We have some lovely example of the designs that we’ve made previously involving these cuts of diamonds simply set as a solitaire or with side diamonds or diamonds set into the band. It is important also to note that any design you see in our images can be made in accordance with your spending limit depending on the precious metals and precious stones that we use.